Soil particles are classified by size. The size of the soil particle gives texture to the soil and determines the amount of air and moisture that exists in the soil. The different particle sizes can also hold different amounts of nutrients within the soil. The ability of different soil textures to absorb and drain water is also determined by particle size. 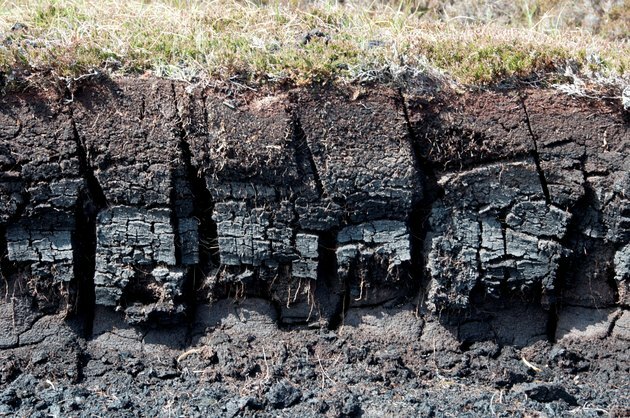 An exposed side of soil layers beneath the grass. A close-up of tire tracks in red clay. Clay particles measure less than 0.002 mm. Clay is the smallest type of soil particle. It feels sticky when wet, absorbs water well and is also nutrient-rich. Soil that is dense with clay particles does not drain water well and obstructs airflow. A piece of seaweed is washed up onto a beach of silt. Silt particles measure 0.06 mm to 0.002 mm. Silt's particles are larger than clay particles but smaller than sand particles. Silt has a smooth texture and forms a crust when it gets wet. The crust makes it difficult for water and air to get to the soil. 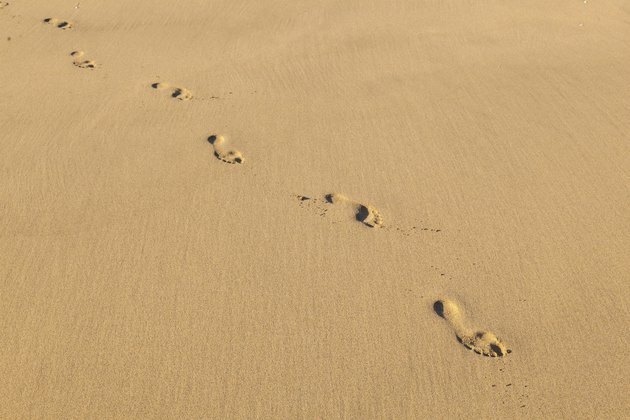 Human footprints are left in the sand. Sand particles measure 2.0 mm to 0.06 mm. Sand is the largest type of soil particle, and due to its size, allows quick drainage and plenty of airflow. Nutrients can quickly drain out of sand particles. Sand can feel granular, or coarse. Which Soils Absorb the Most Water?